I am proud to announce my NEWLY REVISED book InVINCEable™. 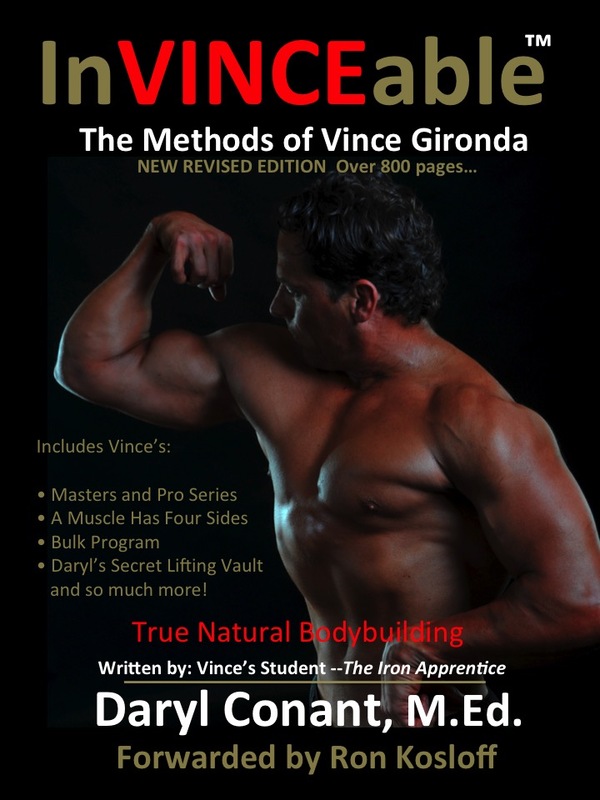 This is a complete book on the methods of my mentor Vince Gironda. With over 800 pages, InVINCEable™ will teach you a great amount about True Natural Bodybuilding. InVINCEable™ is a must have for anyone serious about creating an awesome looking physique. Can now be purchased on my site, www.ironguru.com, or www.amazon.com.